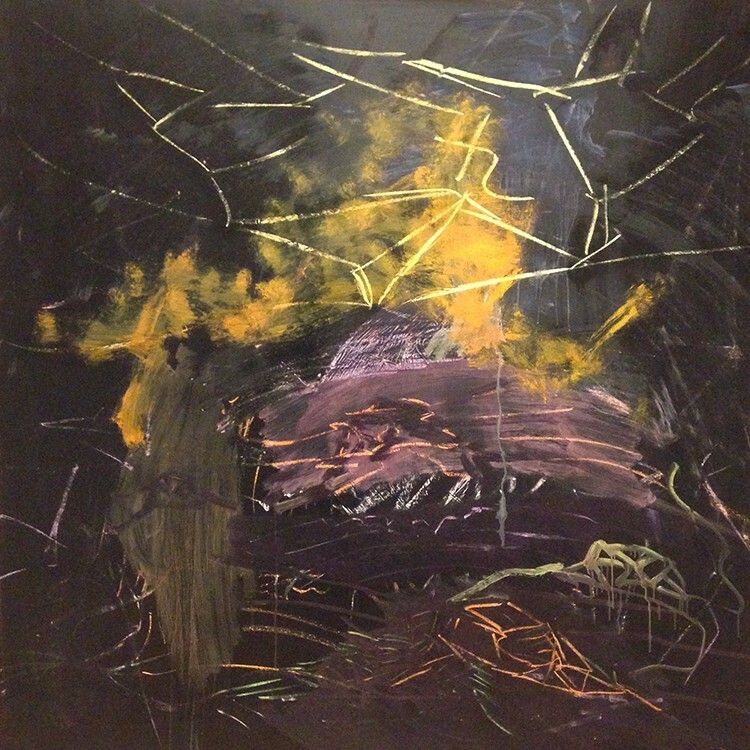 My initial response to Per Kirkeby‘s Untitled, on view in Postwar Germanic Expressions, is that it reminds me of the type of painting (if you can call it that) that I used to love doing as a child—remember these? They started out as heavy sheets of paper coated in black paint, but underneath was a hidden rainbow of colors. With a coin or a pencil, you could scratch off the black coat, allowing the colors to show. When looking more closely at this painting, what comes to mind is that this is some sort of interpretation of one’s feelings. A pathetic fallacy, but in art. The dominance of the dark colors and the black in parallel to the small quantities of colorful ones taps into my emotions. I interpret the emotions behind this work as either depression or some sort of rebirth after tremendous pain. On the one hand, the dark colors closing in with only faint glimmers of light impart a certain sadness. On the other hand, the yellow paint and colors shining through cracks in the black background might signify a new beginning. In the yellow splashes of paint, I see the outline of a paper plane; perhaps a tool planted here by the artist to let go and fly away from these emotions.